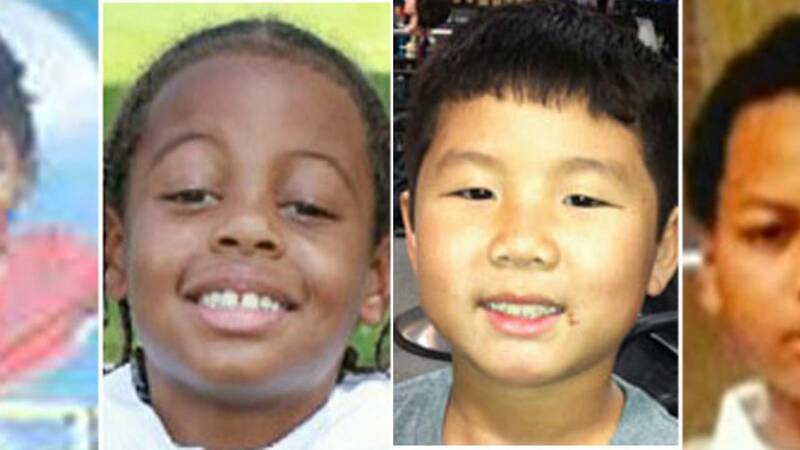 MIAMI-DADE COUNTY, Fla. - Four children -- Rahkel Carr, 4, Amiere Castro, 7, and 10-year-olds Aaron Vu and Marlon Eason -- and 63 teenagers died of gunshot wounds in the last three years in Miami-Dade County, according to the medical examiner's office. Rahkel was in a parked white Mercedez-Benz in front of her grandfather's house in northwest Miami-Dade. She was with other children on their way to the fair when a 6-year-old boy playing with a loaded gun killed her. A few months later, Aaron was at Hong Kong Nails, 148 NW Seventh Ave., in Miami Gardens, during an armed robbery involving older teens. The bullets also hit his father, Hai Nam Vu, 42, a U.S. Marine who was born in Vietnam and grew up in Oregon. His father survived to mourn his death. Stray bullets from drive-by shootings killed Marlon and Amiere as they played at home. Marlon was chasing a basketball in the front yard of his home in Overtown, and Amiere was playing with "Star Wars" toys in a living room in Richmond Heights. Older teens were involved in both crimes. 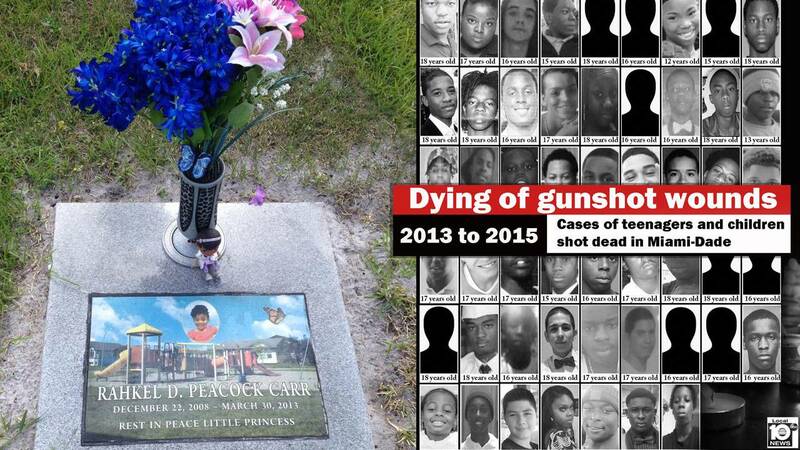 Alder Hill, 15, was the first teen gunned down in Miami-Dade this year. If gun violence continues as it has been since 2013, about 19 more teens are likely to die this year.